Big Bird and Thom Yorke are among the 2015 entries into the Library of Congress' collection of important recordings. 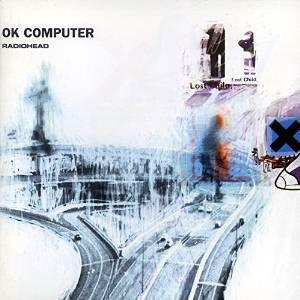 The Library of Congress' National Recording Registry named the the latest batch of entries into its hallowed vaults, and this year's group of 25 recordings feature a very interesting range of items, with everything from old wax cylinders to Radiohead's landmark album OK Computer. That's what happens when you get a collection of recordings deemed "culturally, historically, or aesthetically significant" enough for the Library of Congress to preserve. In addition to Radiohead and wax, The Doors, Joan Baez, the miseducated Lauryn Hill, Steve Martin, President Franklin Delano Roosevelt's funeral, and Sesame Street all made the cut. Big Bird rocks! Personally, I'm pumped that Radiohead made it, given that the band played a huge factor in my transistion from large, quiet child, into a large, music-loving man. It's a pretty long list, so feel free to check it out below or at the National Recording Registry's site. As for me, I'll be enjoying some nostalgia.